We've stayed at the Casa do Outeiro more times than I can remember. We have kept going back because Dona Ana and Dom João have become friends as well as hosts. We love to hear the family stories such as the one below. Nobody was pleased. The English family cut off Rooke with the classic penny because he was marrying a foreigner and a Catholic. Sofia fared no better: she was marrying a heretic Protestant! They had to elope to Brazil, where they made a fortune and – surprise, surprise - money seems to have talked and they were taken back into the fold. One of Dona Ana's daughters was given the name Sofia in memory of Sofia Rooke. 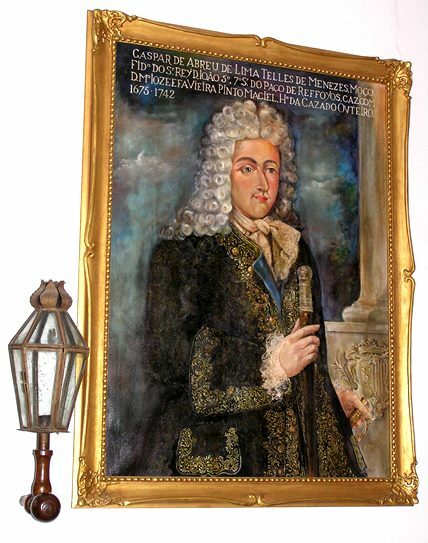 We don't have a picture of any of the Rookes but how about this painting of Gaspar de Abreu e Lima Telles de Menezes; isn't he a distinguished-looking ancestor? 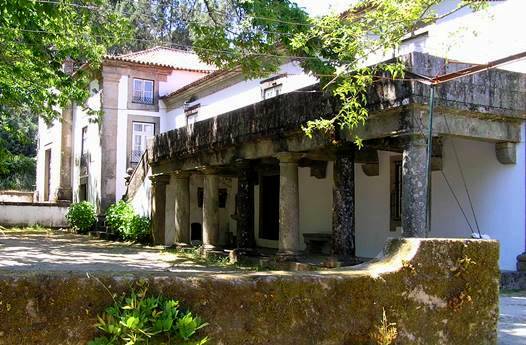 Someone from the Abreu e Lima family has lived in the Casa do Outeiro for at least 500 years but without paying guests this and many another noble home would fall into disrepair and perhaps lose the family connection. Let's take a closer look at this lovely old manor. It dates back at least to the sixteenth century, though the room we stay in may be the remnants of a torreão - a defence and storage tower perhaps almost as old as the country itself. The kitchen too is in the oldest part of the building. 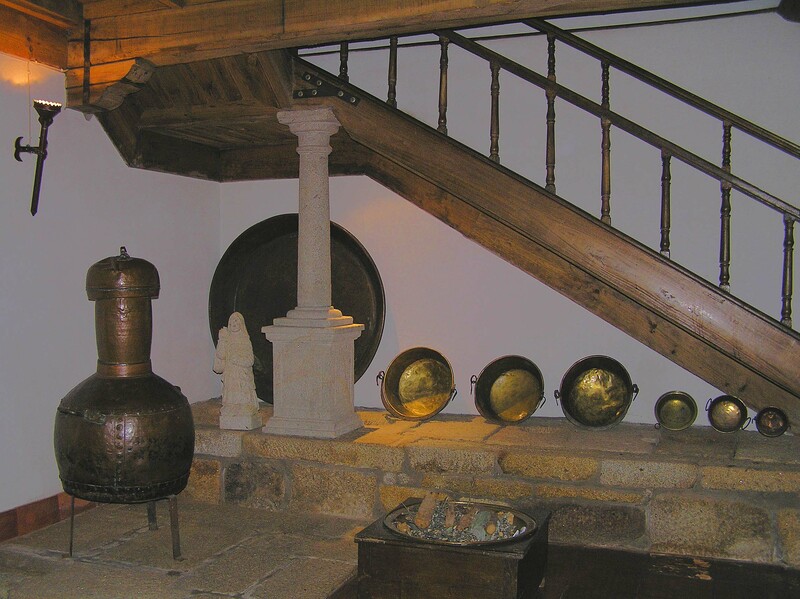 We just love the ancient wooden beams and the copper cooking vessels. Who wouldn't love to make dinner in a place like this? In the evenings we have often revelled in a roaring log fire in the library. There's something primeval about the lure of fire; the warmth, the life and colour and the light but here it is enhanced by book-lined walls and aged, comfy, leather chairs. Breakfast may be served here in winter. 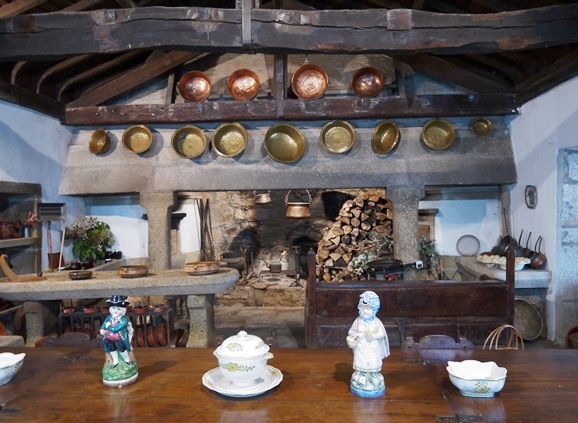 In the lower hall between the bedroom and the library are more kitchen artefacts. We just love these old, slightly battered copper and brass vessel and containers. What about breakfast in summer? The tables are then placed outside on a shady veranda. Later in the day you can cool off in the swimming pool or sit out under the sweet chestnut trees in the garden. 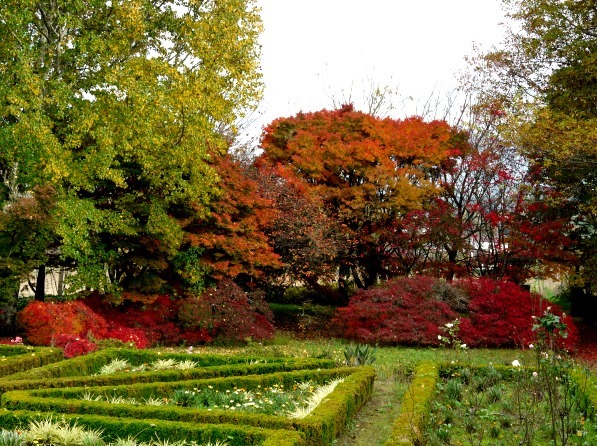 In autumn there is the joy of the changing leaves. You might even be lucky enough to arrive when there is one of the many fairs or festivals taking place in the Minho, even in the house itself. But the story of the Feast of Nossa Senhora da Luz is for another time and another post. Keep coming back to the blog to find out how a gallant Abreu e Lima narrowly averted a new War of the Roses! 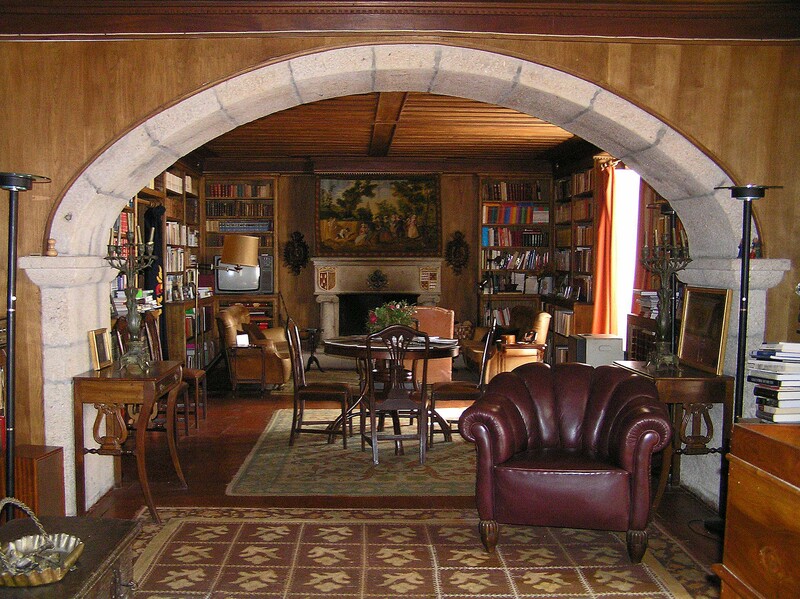 If you would like to stay in a manor house and exchange stories with a gracious host and perhaps help keep it from falling into disrepair, why not log on to Turihab or Solares de Portugal (Links below.) They both have web sites in English as well as Portuguese. The old fashioned courtesies and the stories the owners can tell you will make your day. Do you have a favourite place to stay in Portugal?